VANCOUVER, January 10, 2018 – According to the Royal LePage House Price Survey1 released today, exceptionally low inventory levels and growing demand fueled home price appreciation across Greater Vancouver in the fourth quarter of 2017. While median detached home values trended upwards, realizing strong, but healthy single-digit gains, new OSFI measures caused condominium prices to surge, as the prospect of deteriorated purchasing power enticed many prospective homeowners back into the market to vie for relatively affordable property. As a result, the aggregate home price in Greater Vancouver emerged out of recovery mode, increasing 8.2 per cent year-over-year to $1,267,769 for the three-month period ended December 31, 2017. When broken out by housing type, the median price of a condominium surged by 20.2 per cent year-over-year to $651,885, while the median price of a bungalow appreciated by 5.3 per cent year-over-year to $1,436,606. Meanwhile, the median price of a two-storey home ventured into mid-single digit growth, rising 6.6 per cent year-over-year to $1,586,991. "Home values have continued to strengthen across Greater Vancouver, particularly in the entrylevel market where conditions have intensified even further, and competition for available property is stiff." said Randy Ryalls, general manager, Royal LePage Sterling Realty. "With each passing day, purchasers are becoming more attuned to the new price environment and consumer confidence strengthens. After waiting for quite some time to see if home values would waver, many purchasers now believe that the region's robust economy and chronically low inventory levels will likely insulate many segments from significant price declines." During the quarter, many purchasers looked to the area's condominium market for relative affordability, causing prices to soar within the highly competitive segment. This trend was in part intensified by new regulations of the Office of the Superintendent of Financial Institutions (OSFI), which coaxed many purchasers out from hiding and into many different segments of the market in an effort to side-step having to undergo a rigorous stress test as of January 1, 2018. "The Greater Vancouver real estate market has been significantly impacted by low housing supply, with any change in inventory having the potential to influence pricing across the region," added Ryalls. "Until something is done to address current inventory levels, we will likely continue to see significant home price growth in Greater Vancouver's future, even if demand is reigned in. "While the new OSFI changes may have a disproportionately larger effect on purchasers in Greater Vancouver due to the region's high home values, it is doubtful that it will be able to create a strong enough headwind to keep price appreciation at bay," concluded Ryalls. "It is true that the new lending policies may slow errant home purchasing behaviors. However, by diluting prospective homeowner's purchasing power, these regulations will likely place many purchasers into the entry-level market, causing the segment to overheat further." During the fourth quarter of 2017, the residential real estate market in the City of Vancouver saw strong price appreciation across all housing types studied, rising 12.0 per cent year-overyear to $1,480,712, as the region's robust economy continued to draw many prospective purchasers into the market from across Canada. Lately, the region's distribution of inventory has witnessed a significant shift, with the number of condominiums dropping to closely track the number of detached homes available on the market. This has helped to fan the flames of the area's already overheated entry-level segment, intensifying price appreciation and competition over affordable property. While affordability constraints and price softness within the Lower Mainland's luxury market continues to impact detached property values across West Vancouver, Canada's most expensive market, condominiums have served as a significant bright spot for the region, rising 13.5 per cent year-over-year to $1,167,544. Within the last three months, the area continued to post the largest aggregate declines of any market studied nationwide, with the median home value falling 6.4 per cent year-over-year to $3,020,354. High pre-existing home values across the Lower Mainland intensified the flight to affordability in the fourth quarter of 2017, as many purchasers yearned for reasonably priced property close to the downtown core, pushing the aggregate home value in North Vancouver up 5.7 per cent when compared to the same time last year, to $1,459,570. While bungalow and two-storey home prices experienced strong, but healthy single-digit growth, the region's condominium market posted one of the largest annual gains of any property segment tracked in the nation, surging 26.8 per cent year-over-year to $673,313. The real estate market in Richmond posted a healthy aggregate price increase of 4.4 per cent year-over-year to $1,124,319 in the fourth quarter compared to the same period in 2016. During the three-month period, many purchasers continued to look to the area's entry-level segment for relative value, pushing the median price of a condominiums up by 19.5 per cent when compared to the same time last year, to $533,063. Demand in Burnaby and Coquitlam continued to heat up, with the aggregate home price in both regions seeing double-digit growth, rising 10.3 per cent and 11.1 per cent year-over-year to $1,115,541 and $1,064,247, respectively. While price appreciation for detached homes was quite strong in Coquitlam, both cities' condominium markets stole the show, as improved connectivity into the downtown core continued to bring purchasers to the areas and exacerbated the regions' white hot entry-level markets. During the quarter, median condominium prices climbed 25.1 per cent and 18.8 per cent year-over-year, respectively. Home price appreciation in Surrey expanded by double-digits in the fourth quarter of 2017, rising 10.7 per cent year-over-year to $844,869. While the OSFI's recent policy announcement helped the region experience higher-than-normal activity levels within the last month of the quarter, its affordable property values and relatively close proximity to Vancouver were the main factors that drove interest, causing many to rush into the market in search of a home. Meanwhile, as a result of conditions heating up once again, pre-existing homeowners within the region have become increasingly willing to change their lifestyles in order find affordable property, listing their homes and moving out to areas like Kelowna or Victoria where property is less expensive. During the fourth quarter, Langley witnessed the most pronounced year-over-year aggregate home price increase of any region studied in Greater Vancouver, climbing 12.8 per cent yearover-year to $886,073, as many young families from across the Lower Mainland ventured into the city in search of affordable property. Yet, with the region's two-storey market showing continued price growth, recent gains pushed many prospective buyers out of the detached market and into the region's hot condominium segment, causing price appreciation to intensify further and grow by 23.4 per cent compared to the fourth quarter of 2016. Nationally, Canada's residential real estate market saw strong, but slowing year-over-year price growth in the fourth quarter of 2017. 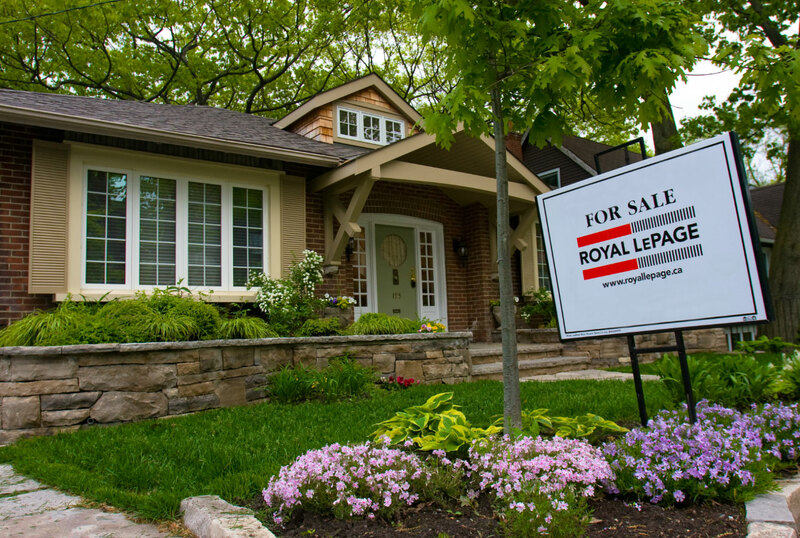 The Royal LePage National House Price Composite, compiled from proprietary property data in 53 of the nation's largest real estate markets, showed that the price of a home in Canada increased 10.8 per cent year-over-year to $626,042 over the three-month period. When broken out by housing type, the median price of a two-storey home rose 11.1 per cent year-over-year to $741,924, and the median price of a bungalow climbed 7.1 per cent to $522,963. During the same period, the median price of a condominium appreciated faster than any other housing type studied, rising 14.3 per cent to $420,823 on a year-over-year basis. "To prospective homeowners in our largest cities, condominiums represent the last bastion of affordability," said Phil Soper, president and CEO, Royal LePage. "This is especially true for first-time buyers whose purchasing power has been reduced by tightening mortgage regulations." In line with Royal LePage's previous Market Survey Forecast, Royal LePage predicts that the price of a home in Canada will increase 4.9 per cent by the end of 2018. Looking ahead, the company anticipates that the new OSFI stress test will slow the housing market in the first half of 2018, as buyers adjust their expectations and many market participants take a "wait and see" approach. "The unsustainably high rates of home price appreciation witnessed in recent years in B.C. and Ontario were dangerous to the stability of not only the housing market, but to the broader economy itself," continued Soper. "Policy measures like the OSFI stress test will quell runaway housing inflation to an extent. However, we do foresee an upswing in demand in the latter portion of the year, as prospective buyers adjust to the new realities. To put it another way, the demand is still there." About the Royal LePage House Price Survey The Royal LePage House Price Survey provides information on the three most common types of housing in Canada, in 53 of the nation's largest real estate markets. Housing values in the House Price Survey are based on the Royal LePage National House Price Composite, produced quarterly through the use of company data in addition to data and analytics from its sister company, RPS Real Property Solutions, the trusted source for residential real estate intelligence and analytics in Canada.